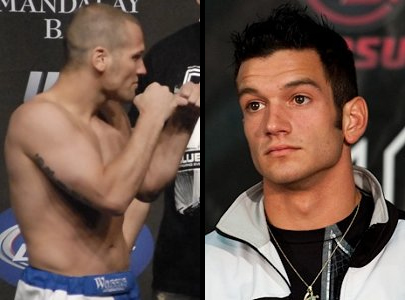 UFC 136 now highlights a new bout featuring Josh Grispi and Matt Grice. UFC officials recently announced that former top WEC featherweight contender – Josh Grispi – and current UFC returnee – Matt Grice – will meet on the upcoming UFC 136 event, which be held on October 8th at the Toyota Center in Houston. The night’s main card will be aired on pay-per-view, however, the bout between Grispi vs Grice will be part of the preliminary card. Josh Grispi (14-3 MMA, 0-2 UFC) was suppose to face UFC 145-pound champ, Jose Aldo, at the UFC 125. Unfortunately, Aldo was ruled to abandon the fight due to an injury — leading Josh Grispi to fight Dustin Poirier wherein he obtained a unanimous-decision loss. This defeat, along with the TKO loss from George Roop during the Ultimate Fighter 13 Finale, ruined his 10-fight victory record. On the other hand, Matt Grice (13-4 MMA, 1-4 UFC) is a four-time state high-school wrestling champ who boasts a record of 1-3 during his previous years under the promotion. He now holds four-fight victories on the Oklahoma fight circuit. However, the MMA fighter got a TKO loss at the UFC on Versus 4 from the hands of Ricardo Lamas. The loser of the Grispi vs Grice match is expected to receive a contract termination from UFC.